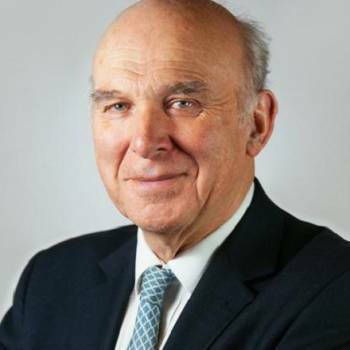 Sir Vince Cable was the Liberal Democrat Member of Parliament for Twickenham from 1997-2015. He was Shadow Chancellor of the Exchequer and speaks on issues of finance, European Economic and Monetary Union, and the City. 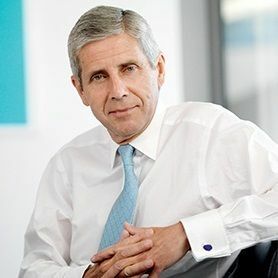 He held the post of Shadow Secretary of State for Trade & Industry from 1999-2003, became Treasury Spokesman in June 2003, was elected Deputy Leader of the Liberal Democrats in March 2006 and Acting Leader for two months in 2007 (following the resignation of Sir Menzies Campbell). In May 2010, Sir Vince Cable was chosen by David Cameron to become Secretary of State for Business, Innovation and Skills, a post he held until the General Election of 2015. He gained a degree in Natural Science and Economics from theUniversityofCambridge, where he was also President of theUnion. He gained his Ph.D. at theUniversityofGlasgow. He was a special professor at theUniversityofNottinghamand is currently a Visiting Fellow atNuffieldCollege,Oxford. He has also lectured on economics at theUniversityofGlasgow. 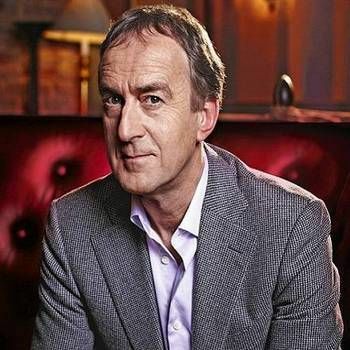 A regular broadcaster and columnist, he has written for The Independent on economic and political issues, and The Economist. He has written books on Trade Policy and International Finance and published an in-depth study of international telecommunications – Global Superhighways. In 1999 he published a major book on Globalisation and Global Governance for Chatham House and Brookings. He recorded his Desert Island Discs for the internationally-acclaimed programme on BBC Radio 4 (broadcast Jan 2009). He is very interested in environmental issues and drafted a report for the Commonwealth Prime-Ministers’ Conference on climate change and the ‘Greenhouse Effect’. He helped to prepare the report of the World Commission for the Environment with the Prime-Minister ofNorway and Commonwealth Secretary General. Sir Vince’s wide-ranging interest and knowledge of international affairs, the environment and - most of all - his keen insight and grasp of global economic issues, ensures that his views are sought by TV, radio and print media. Audiences appreciate his straightforward manner, gentle sense of humour, and the way he delivers his speeches with clarity and answers their questions directly. To book Vince to speak at your event please call a Prime Performers Booking Agent on 020 7251 8222 or email us at info@primeperformers.co.uk.